“After more than 12 years of fun, frolic, and feeling the love, I regret to announce that PULP will be closing it’s doors on Sunday January 12, 2014. Please know this has not been an easy decision. The store has been a really special place for me, the dedicated staff and the neighborhood. Not to mention the thousands of loyal customers who have supported PULP since I purchased it in 2010 and certainly before then. Between now and January 12th, we will be open regular business hours (11am – 7pm Monday thru Saturday and 11am – 5pm Sunday) and offering special discounts on the remaining merchandise. I do hope you will come by to see us one last time. On behalf of the staff, please accept my thanks and gratitude for being our customers, neighbors and friends. Ed. Note: Back in July we noted Pulp hoped to raise funds for store improvements. 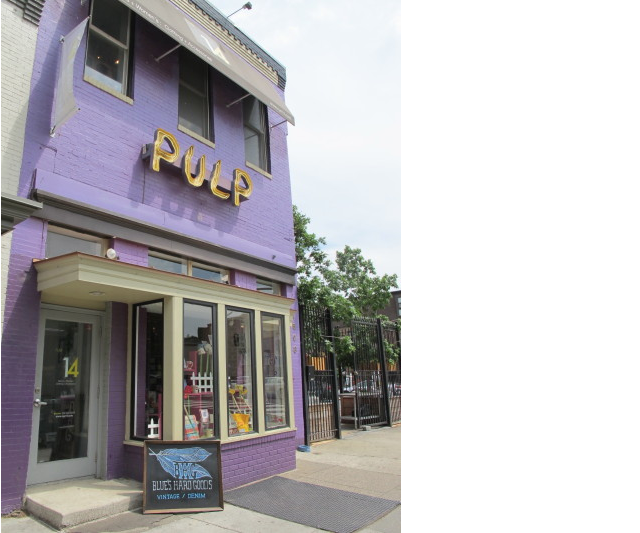 In 2011 Pulp briefly closed before the ‘miracle on 14th Street’.